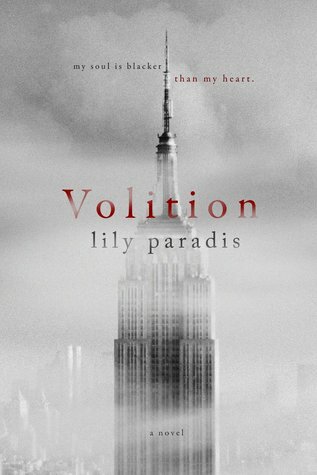 I fell in love with Lily's exceptional writing in her debut, Ignite, and that feeling is carried over in Volition. I'm finding it hard to put my emotions into words so I can properly explain my thoughts on the story, but trust me it's hard. I feel like no words will ever truly interpret the awesomeness of this book. For one thing, Tate is like no other female protagonist. Everything about her character is so different from all the girls I'd read about before. I mean, to say she's flawed is an understatement. This young woman gives new meaning to the word. She's definitely an interesting character that will drive you nuts and make you weep, and at the same time make you laugh. I liked her personality and how imperfect she was. I could connect and relate with her intensity, and at times wanted to slap her for her behavior and the way she reacted to certain things. But that's just it, Tate is the kind of character that grabs at your emotions and pulls you into the story. So in a sense, she's perfect because she got my attention and held it. I liked the overall plot and how Lily gave us Tate in the past and present. I felt like I got to know the main character on a personal level because the author alternated between time, and that also helped shed some light on Tate's feelings for one guy in particular. It gave more of an understanding, in my opinion, and I wasn't upset with her for feeling that way about one while falling for another, even if it wasn't intended. Speaking of falling, I liked Hayden's character. Aside from being swoon-worthy and charming in many areas, he was quite the understanding and patient one. I mean, not many guys could accept a woman who believed her soul would forever be connected to someone else and still want to be with that woman. It's just a lot to handle, and Tate is a lot to handle. But Hayden stuck by her and showed her that she doesn't have to be afraid of trusting him, love, and finally taking the risk of allowing herself to feel happiness. Their meeting was not random either and I liked how in the end the author showed that. My heart bubbled when I read that part. There were other impactful characters in the story, from Tate's best friends Catherine and Colin, to her very witchy grandmother and that one person she just couldn't escape from, Jesse. While I don't want to get into those characters too much for fear I'll give away a lot, I can say that I liked their presence in the story and how valuable they were. They weren't the kind of characters that were just fillers. They mattered, and they helped the reader understand Tate better. In conclusion, great story. Interesting concept and fantastic writing. I liked every side of Tate. I could easily sympathize with her and liked how raw her emotions were. The way she handled losing her parents, growing up defiant, and sticking to what she believed in--wonderfully done. The story felt so real, like I was living Tate's life. I just can't explain enough how much I enjoyed the book. Good job, Lily. I look forward to reading more of your work. Lily lives with her family and loves reading, running, and hiking. Although she's a Colorado native, New York City is her favorite place in the world and fosters her borderline unhealthy obsession with the Empire State Building and F. Scott Fitzgerald. Ignite is her debut novel. Sounds like an interesting book but I don't know about the love triangle. They are one of my least favorite things to read. Although, with how in depth the author goes into Tate's life, it may work out. Glad to see you enjoyed this book so much. Thanks for stopping by. Hope you give this a read. The main character sounds like one I would definitely enjoy getting to experience. The book does sound very interesting, and I do love the premise of it. I might have to check this one out! The past and present perspectives always strengthen a book in my opinion. Great review Shane, glad you enjoyed it.